Peru’s former President Alberto Fujimori has been pardoned by current President Pedro Pablo Kuczynski on health grounds in a move that has prompted angry protests. Alberto Fujimori, 79, who is serving 25 years for human rights abuses and corruption, was moved from prison to hospital because of health problems on December 23. President Kuczynski denied pardoning the former leader as part of a deal with his party last week to avoid his own impeachment. Police in the capital Lima clashed with protesters after the news emerged. Two members of Pedro Pablo Kuczynski’s party in the Peruvian Congress, Vicente Zeballos and Alberto de Belaunde, resigned in protest at the pardon. Meanwhile, supporters of the former president, who led Peru from 1990 to 2000, celebrated outside the city hospital where he was being treated. 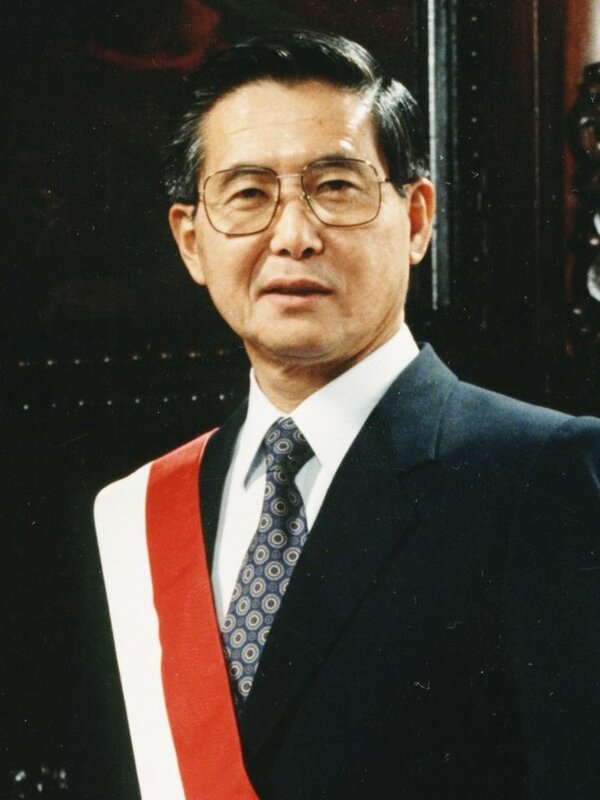 Alberto Fujimori is admired by some Peruvians for combating Maoist rebels but his critics considered him a corrupt dictator. His son, Kenji Fujimori, tweeted video of himself breaking the news of the pardon to his father in his hospital bed and wishing him a Merry Christmas. A statement from President Kuczynski’s office said he had decided to grant a “humanitarian pardon to Mr. Alberto Fujimori and seven other people in similar condition”, without naming the others. According to the statement, doctors had “determined that Mr. Fujimori suffers from a progressive, degenerative and incurable illness and that prison conditions represent a grave risk to his life”. Alberto Fujimori was transferred from his cell to a clinic suffering from low blood pressure and an irregular heartbeat, doctors said. Kenji Fujimori said earlier that his father would probably not go home for several days. The conservative Popular Force (FP) party, led by Albert Fujimori’s daughter, Keiko Fujimori, controls Congress and on December 21 tried to impeach President Kuczynski over a corruption scandal. However, her brother Kenji split the FP vote, allowing President Kuczynski to stay in power and prompting the accusation that Alberto Fujimori’s release had been promised in exchange. Pedro Pablo Kuczynski denied the claim. In 2007, Alberto Fujimori was sentenced to six years in jail for bribery and abuse of power, but two years later was sentenced to another 25 years in prison for human rights abuses committed during his time in office. The former president was convicted of authorizing killings carried out by death squads. On December 24, police reportedly fired tear gas at dozens of protesters who turned out to protest at news of the pardon, waving pictures of victims of the counter-insurgency campaign. Jose Miguel Vivanco, executive director of Human Rights Watch in the Americas, tweeted: “I regret Fujimori’s humanitarian pardon. Is The Health Care System Doing More Bad Than Good?